Sadly summer break is over, but that means it’s time to get back to dance class! 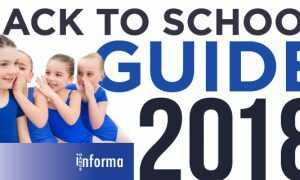 Dance Informa’s Back to School Guide includes great products and studio solutions to start your dance year off right. Get back to the studio with a fresh look, ideas and resources and make this dance year your best yet!